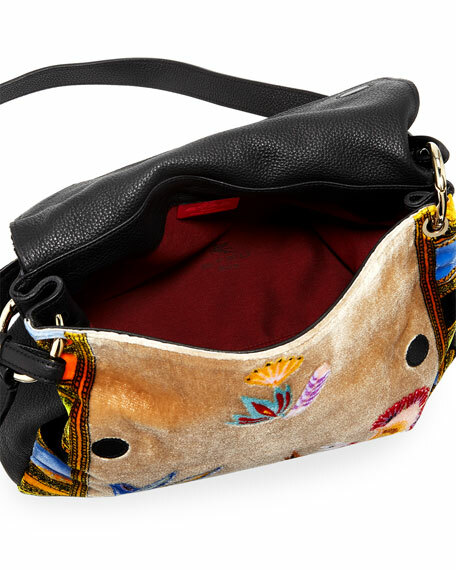 Etro leather and velvet shoulder bag with multicolor patchwork and bird print designs. Flat fabric web top handle. 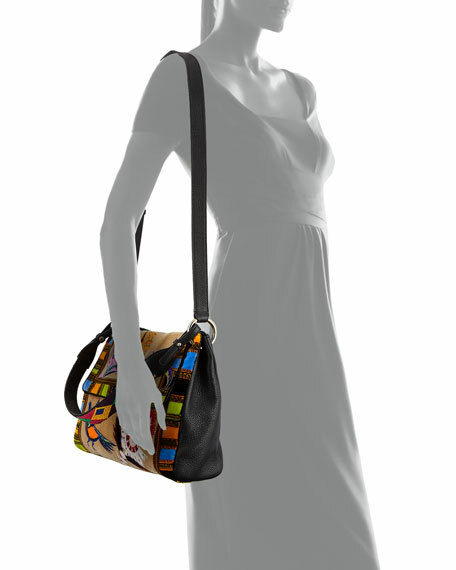 Removable, adjustable shoulder strap, 21.6" drop. 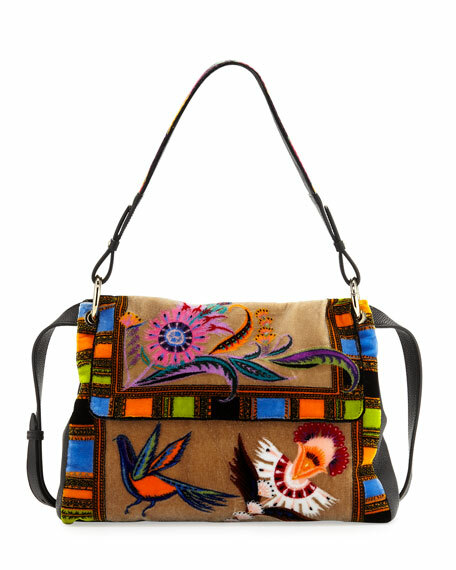 9.5"H x 12.6"W x 3.9"D.
For in-store inquiries, use sku #2414143.